I really adored Kitty's character. 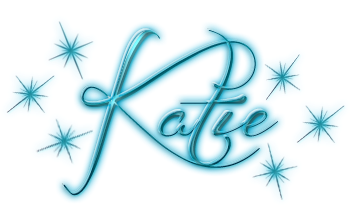 She's strong and fierce, and really learns to make the best of a difficult situation. Sure, she's a bit naive at times, as well as a little selfish, but honestly when it boils down to it, it isn't really her fight, and the drive for survival is pretty darn strong. I loved seeing her progress over the story, and my heart broke for her several times as her world kept getting ripped out from under her. Yet, she keeps her backbone throughout the book, never once losing that drive. What was most admirable was that she didn't just jump on anyone's bandwagon, be it the head of the family who is determined to squash the rebellion, or that same rebellion who wanted her to continue the work of the woman she replaced. She doesn't just follow anyone blindly, and makes the decisions that were best for her and not others. Of course that may make her seem selfish when it comes to not just jumping on the rebellion bandwagon, but she's nothing but a pawn there. I can't wait to see this "pawn" turn into a queen in the upcoming books. She'll definitely give them a run for their money. 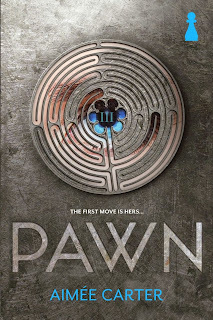 The world behind PAWN was really interesting. Like most dystopian type novels, the general public is led to believe that the control system is for their protection and best interest. This time around, the control lies in the form of a ruling family, their police force, and a series of tests that all citizens take at seventeen, which then decides what role they will have for the rest of their lives. Talk about pressure! One test to determine whether they are hungry and worked into an early grave, or have a more comfortable, longer life. And despite the fact that Kitty didn't see it, that test makes it nearly impossible to rise out of the rank you grew up in as your situation determines the amount of schooling you receive, which in turn directly relates to how well they perform on that test. And yet, the lower "castes" seem to see their numbers as fair and have no one to blame but themselves, which is horrifying. Of course, in true dystopian fashion, as the book progresses, more and more about the society and these tests are revealed as Kitty is thrown into the middle of the ruling family. Of course things aren't as equal as they seem and there are many more secrets, ones worse than she ever could imagine, making this world truly chilling, and a great read. PAWN has to be one of the best books that I have ever read when it comes to twists and turns. Sure, there were flaws, namely in the romance department, which I hope gets beefed up a great deal in the next book, but as far as the twists, they were perfect. I honestly never knew what was coming next, and it kept me on the very edge of my seat. 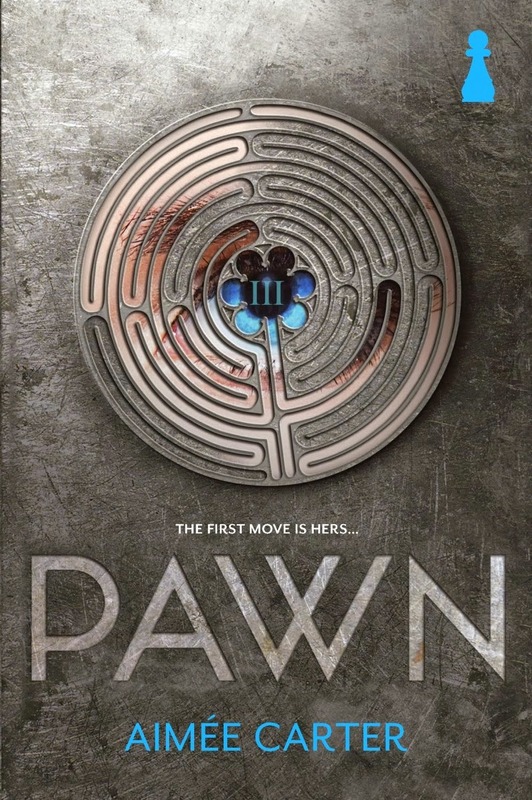 Seriously, if you are a fan of dystopian novels, and like a roller coaster read that is anything but predictable, then PAWN is the book for you.